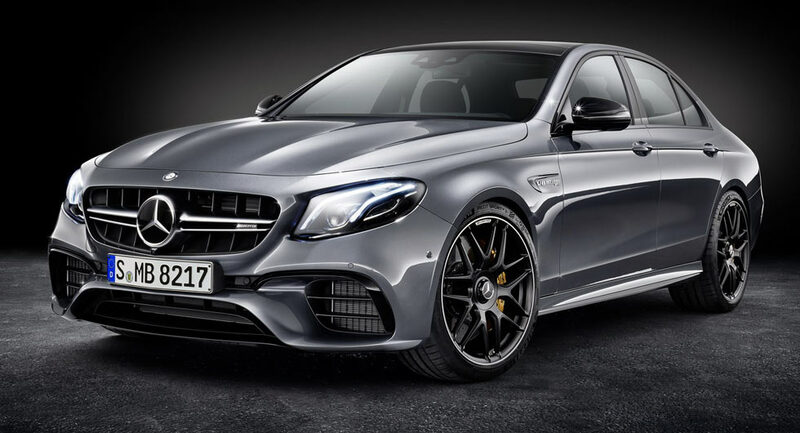 Mercedes’ AMG division has introduced the next-generation E63 and E63 S models, along with the latter being the most powerful and fastest E-Class of all time. Both of which were based on the larger S-Class. The German brand revamped the engine lineup and added new tech, including many segment-first features and semi-autonomous drive. Inside, the Mercedes AMG E63 is a slightly shrunken version of the larger, S63 model, and featuring a similar dashboard with the signature four A/C vents on the center stack, and smoother design. Most of the cockpit was carried over unchanged from E-Class, but certain features were replaced by sportier alternatives. For starters, there is a flat-bottom, sports steering wheel in the black leather. The unit comes out with Touch Control and electroplated shift paddles, as well as a bezel with AMG logo. As expected, the AMG E63 is powered by the twin-turbo, 4.0-liter V-8 that is already available in the AMG C63 and the AMG GT sports car. The powerplant is offered in two flavors. The “base” E63 comes with 563 hp and 553 pound-feet of torque, which is a 13-hp and 32-pound-foot increase over the previous 5.5-liter V-8. The E63 S model benefits from 603 horses and a whopping 627 pound-feet of twist, an 18-hp and 37 pound-foot increase over the outgoing version. Sprinting from 0 to 60 mph takes 3.4 seconds with the standard model and 3.3 ticks with the S variant, that making them two tenths quicker than their respective predecessors. Top speed remains locked at 155 mph for the base model, while the E63 S model will hit 186 mph. The release date of the upcoming models will be by the end of next year. These cars ill get full public debut on this month, at the Los Angeles Auto Show. And, it’ll hit dealers during the summer of 2017. When it comes to prices, information about that is not officially announced by Mercedes. As soon as we receive some info about that, we will certainly let you know.